I'll have to go get this top coat and try it out. Thanks for sharing. I just tried this out too & I LOOOOVE it. Not too thick & goes on great. Perfect combo! Ps- your nails look fab! O my word...I wish I could paint my nails the way you do. They look great. This has been by far the best top coat polish that I can find! Love all the designs you've used! You do an awesome job at those nails. I definitely need to try! The last stuff I used ended up giving me the 'crackled' look!! Are those your REAL nails?! They look amazing either way. Totally envious. umm your nail creations are fabulous!!!!! Found your blog this afternoon...and just HAD to click on it due to the title. LOVE that song and love me some Miranda Lambert. Looking forward to following along...and good suggestion on the topcoat front. I'm a Seche Vite fan, but may have to try this one out! Awesome tip! Do you use a base coat before you put color on your nails? I love all these colors! 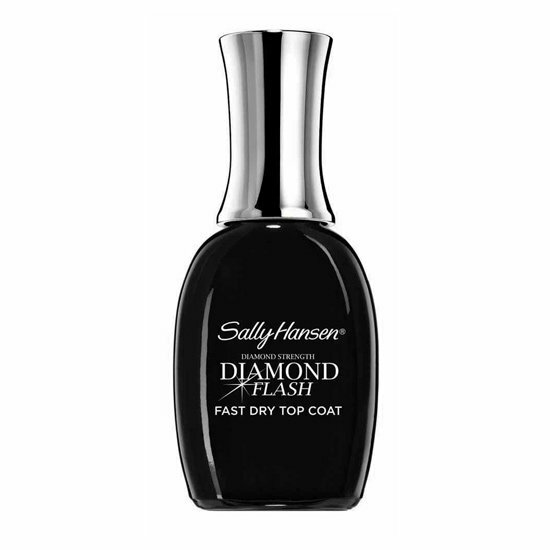 I use a Sally Hansen Xtreme Hard Nails clear coat or something and mine don't seem to chip as soon either! I've been using Seche Vite, but its kind of expensive. Even though it dries sooooo fast. I'm going to have to try this next. LOVING all the nail color, child! PS- What brings me to Raleigh is apartment hunting... you heard me. I am just not saying a lot right now because I've yet to tell my work now and I'm not 100% sure that I am in fact taking it but odds are that I will be a Raleigh-Durham resident. Purchased it this weekend, looking for a long lasting top coat. I've tried everything, lots of em dry fast but chip fast too :( fingers polished and crossed. Love the yellow, what is it? your nails look so pretty in all of these! love the polka dot one! I shall be trying this out right away. Anything to keep my from having to repaint my nails every three days (besides my love of too many different colors) is a friend of mine.